There’s one thing that every single person does every day. Do you know what it is? Yep, you’ve got it! Every single person on this planet goes to bed every day… But do they go to bed in the right place? Is the room in which they go to sleep the place that they should be going to sleep in? If we’re going to be honest – and you’re thinking of your own master bedroom – then you know that the answer is no. If you want a bedroom that oozes sleepy time, then you need a bedroom – a master bedroom – that’s beautifully decorated. But, how do you even create such a space? While some people were born with a delicate sense of color and how various patterns can be balanced, not all of us were so blessed. Without further ado, let’s take a look! 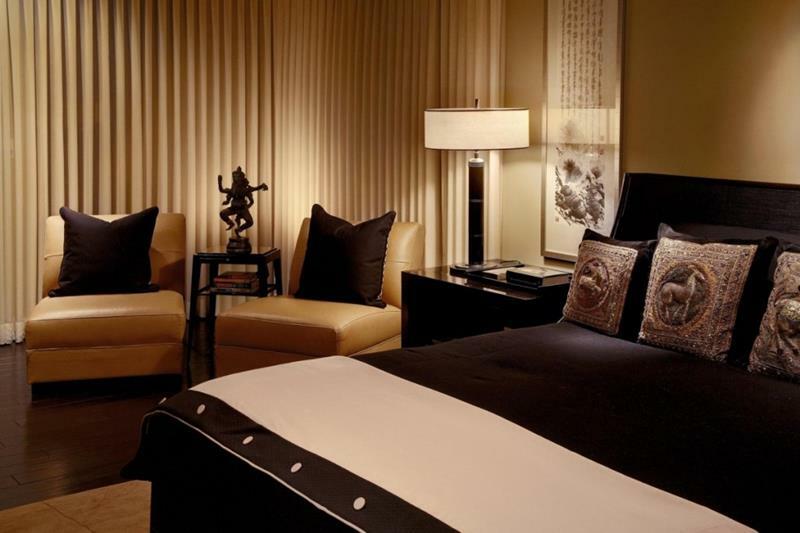 Two golden chairs with dark throw pillows perfectly accent the warm glow of this professionally decorated master bedroom. 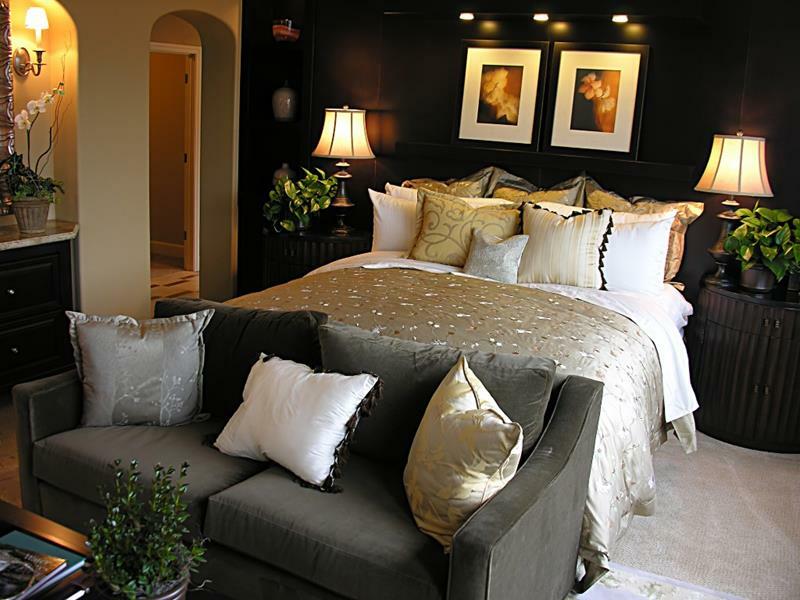 Notice how the same fabric is used for the throw pillows on the bed and the drapes in this master bedroom. Having built-in shelves in your master bedroom really provides you with an opportunity to add décor. The low bench at the foot of the bed in this master bedroom design is a perfect decoration touch. 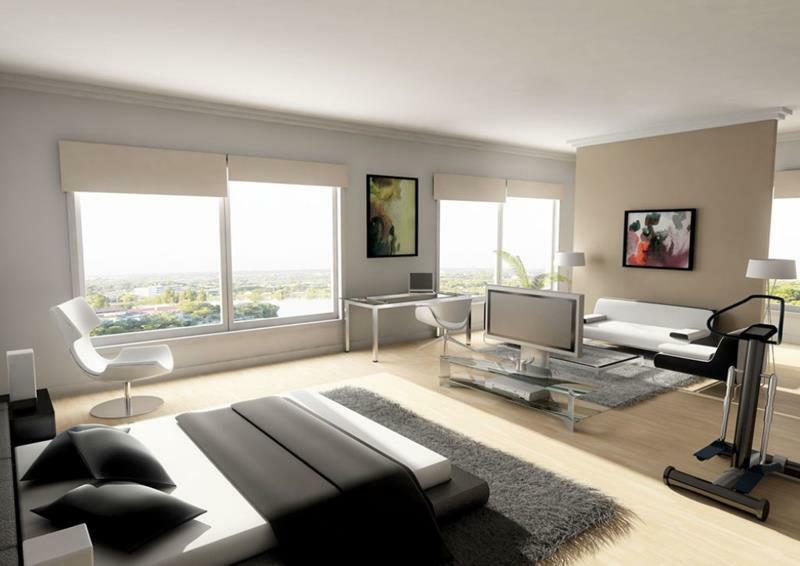 If you’re going contemporary with your master bedroom, then you’ll want décor that has clean lines.